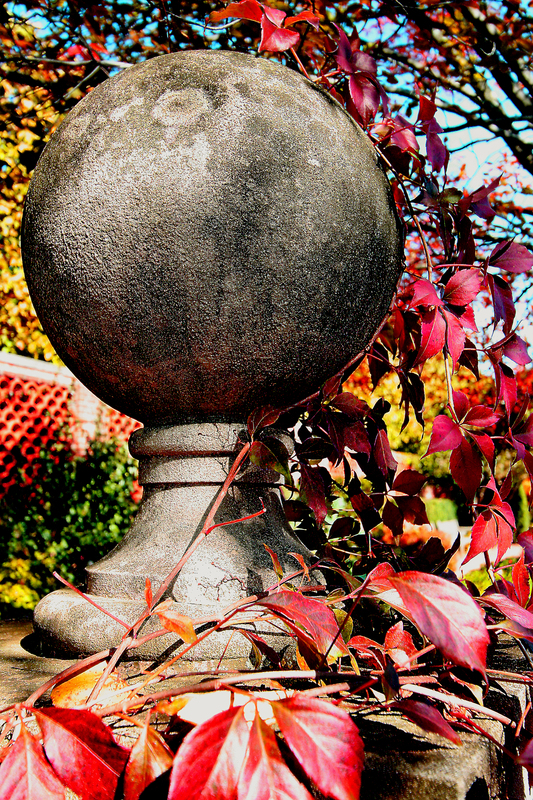 One plant bursting with color was the ivy – in abundance in the English garden. If you look through it you can make out the brilliantly yellow maple tree in the background. I tried getting a good photo of two women sitting on the bench beside it, but they eyed me suspiciously. So I had to throw up my hands and walk away. Apparently even I have my limits. Surprisingly.